Most shampoos contain palm oil ingredients. You really need to be a proactive consumer to find shampoo without palm oil. There are many common palm oil derivatives in shampoos. Manufacturers use it for many reasons. 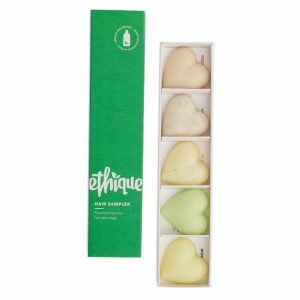 We were thrilled to find Ethique. All of their products are palm oil free. This eco-based company was awarded New Zealand’s most sustainable business. They don’t use plastic… and they don’t use palm oil! In the United States, you can find Ethique on Amazon. They have many choices for palm free shampoos, depending on your scalp and hair condition. It was difficult to choose among Ethique’s shampoos and conditioners. Their conditioners are also palm oil free. We were happy to see they offer a Hair Sampler. It comes with five small bars: three shampoos and two conditioners. We love them all. Each lasts a long time. And amazingly, they produce foam and lather. 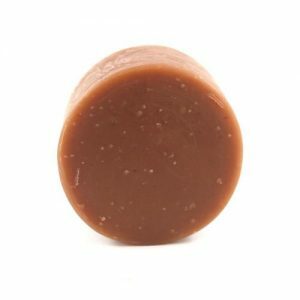 Having never tried a shampoo bar before, they were easy to use. Also, the scents weren’t strong. Even better: They are natural and not made from chemicals. The Hair Sampler is great way to try a few to see which work best for your scalp and hair needs. Note: Of all the conditioners we looked at, so far this is the only brand of conditioner without palm oil we were able to find available in the United States. 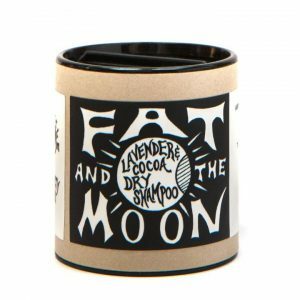 Like Ethique, all of Fat and the Moon’s products are palm oil free. They offer an extensive line of products. They have a dry shampoo without palm oil. With just four ingredients, this dry shampoo includes lavender essential oil and cleans your hair and scalp without stripping away your natural oils. Based in California, Unearth Malee is a palm oil free company. Their products are also vegan and organic. And, they advertise they are palm oil free on their labeling. These bars are between 4.5 oz and 5 oz. They give back to non-profits, including Orangutan Foundation International. Read about Unearth Malee’s stance on palm oil. Available in Australia, Viva La Body makes their products palm oil free. In addition, their shampoos and conditioners are all Certified Palm Oil Free with the Orangutan Alliance trademark. They also advertise being palm oil free on their website. 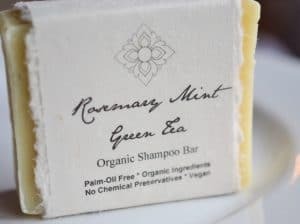 They have palm oil free shampoo bars and conditioner bars. These bars are highly concentrated so a little goes a long way. 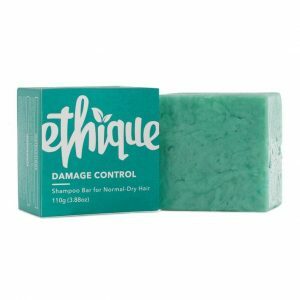 In addition to being certified palm oil free, their products are vegan, silicone free, completely plastic free, and biodegradable. There are many palm oil derivatives in shampoos as lather-builders. Consumers like lather and suds. When companies are combining ingredients — and there are many in most commercial shampoos — they need a stabilizer to keep the ingredients together so they don’t separate. Most shampoos contain palm oil. Oftentimes, shampoos contain more than one palm oil ingredient. Most likely, whatever shampoo you are using has palm oil in it. Like with most self-care products, when something has less ingredients, it’s usually better. In order to find shampoo without palm oil, you absolutely have to be a conscious consumer. Most shampoo has several palm oil ingredients. Please support these brands of palm free shampoos and palm oil free conditioner. Have you found others? Please add them to the Comments so we can check them out. 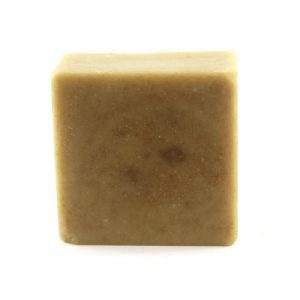 See our lists of Palm Oil Free Products.